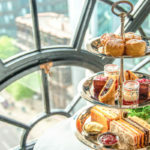 Enjoy a great girls day out with this sparkling Champagne Afternoon Tea at the Hotel Gotham in Manchester. A mouthwatering afternoon tea with a hint of honey, this is a sweet experience. 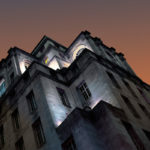 Situated in the heart of Manchester, the Hotel Gotham was originally a former bank designed by the renowned Edwin Lutyens and turned into a fresh addition to the city’s hospitality scene as one of Conde Nast’s Best New Hotels in the World 2016 Hot List. Your afternoon tea takes places in the stylish Honey Restaurant. 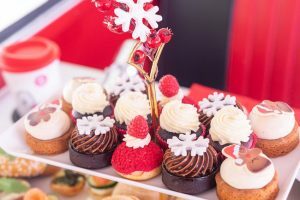 With a Northern touch, tease your taste buds with a divine selection of savoury treats followed by traditional Eccles cake, ‘Manchester Tart’ and ‘Gotham Cake’ not forgetting the must-have scones, with jam and clotted cream. 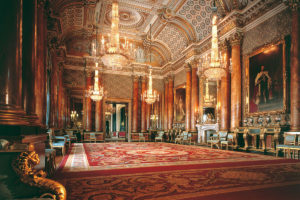 Your afternoon tea is served with a glass of sparkling champagne and your choice of single estate coffee, exotic hot chocolate or, of course, one of ten different teas and ‘tisanes’ (that’s herbal tea to you and me). 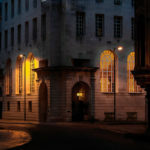 Put sweetness and class in mind and take tea for two in an art deco restaurant with award-winning atmosphere. 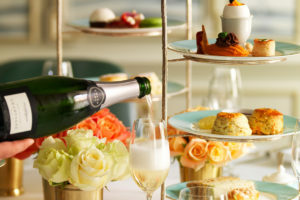 We have a delicious deal for a Champagne Afternoon Tea at £70 for TWO from Virgin Experience. Available to buy as a voucher, it is valid for up to 9 months. Perfect for a gift for a friend or simply to treat yourself and arrange diaries for a day out. To book, or for further information, simply follow the Book Now button.